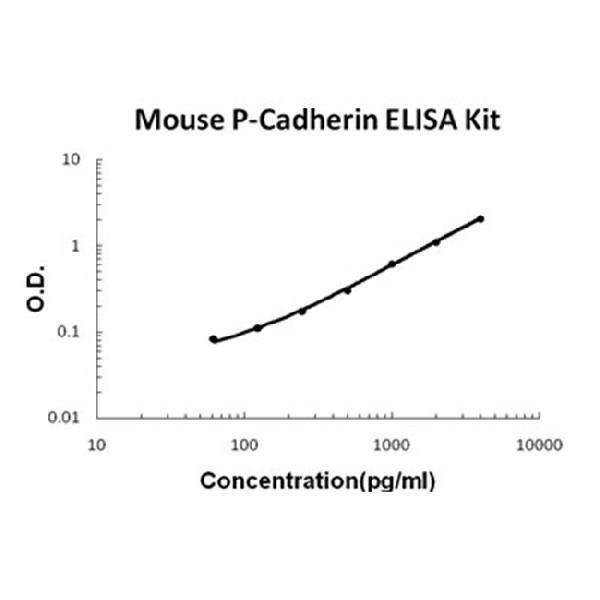 Sandwich High Sensitivity ELISA kit for Quantitative Detection of Mouse P-Cadherin. 96wells/kit, with removable strips. P-Cadherin, also known as Cadherin-3(CDH3), is a protein that in humans is encoded by the CDH3 gene. This gene is a classical cadherin from the cadherin superfamily. This gene is located in a six-cadherin cluster in a region on the long arm of chromosome 16 that is involved in loss of heterozygosity events in breast and prostate cancer. In addition, aberrant expression of this protein is observed in cervical adenocarcinomas. Mutations in this gene have been associated with congential hypotrichosis with juvenile macular dystrophy. Cells expressing CDH3 also adhered to one another more tightly than the parental cell line.